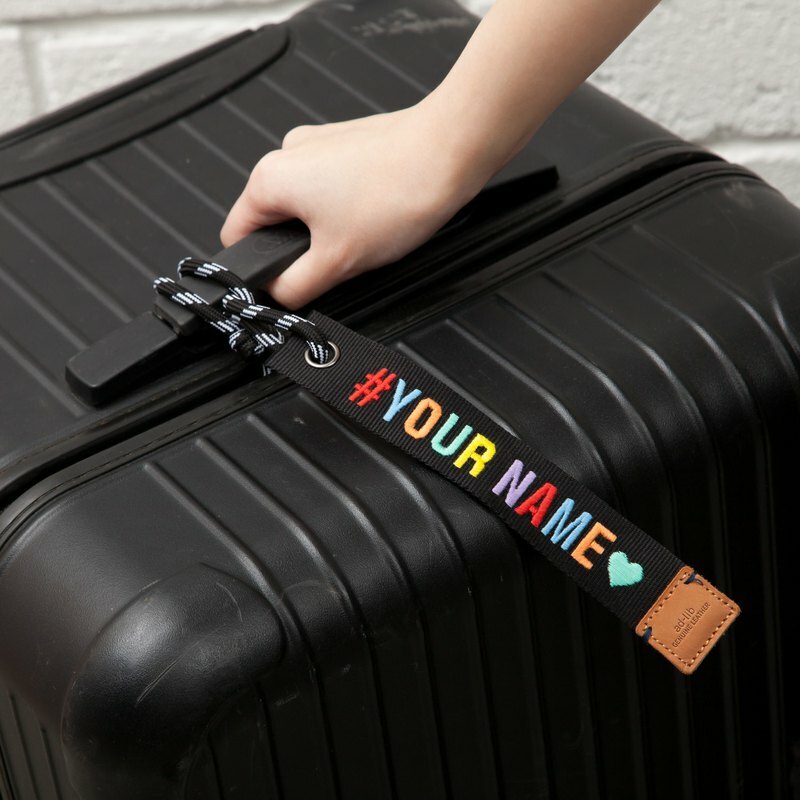 **Product code:** Black：AM183EMA002- BK **Details:** - Embroidery text features in rainbow color combination (color order is fixed) - 100% Polyester - Length: 19.5cm(L) x 3cm(W) - Genuine leather with embossed logo - Flexible strap that securely attaches to luggage *How to purchase? ** 1. Select quantity 2. Add to cart, input personal information 3. Checkout，input __ no more than 10 English alphabet (all in capital letter) / number / symbol__ in the〈Optional note to designer/seller〉section 4. Confirm order --- https://c1.staticflickr.com/5/4846/46734970681_d9d5e43601_n.jpg - Space is calculated as one letter - text will be aligned center if the number of words is not enough - embroidery fonts and position are fixed - sequence of color is fixed *Actual colors may vary from the colors on your screen due to monitor color restrictions. Attention: 1. The customized product will be delivered within 5 working days upon order confirmation. 2. We do not accept return & exchange for customized products unless there is quality problem. 3. ad-lib reserves the right to review and reject the order of the customized products.